The original T.U.K. 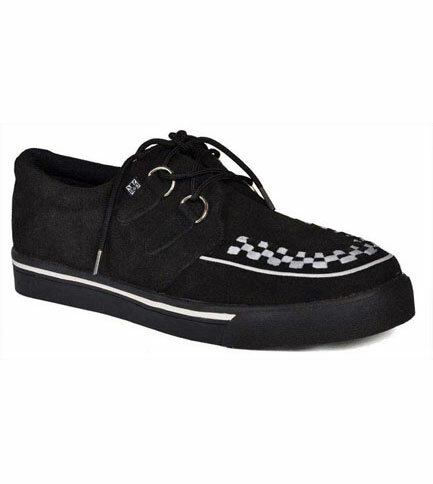 Creeper sneaker. 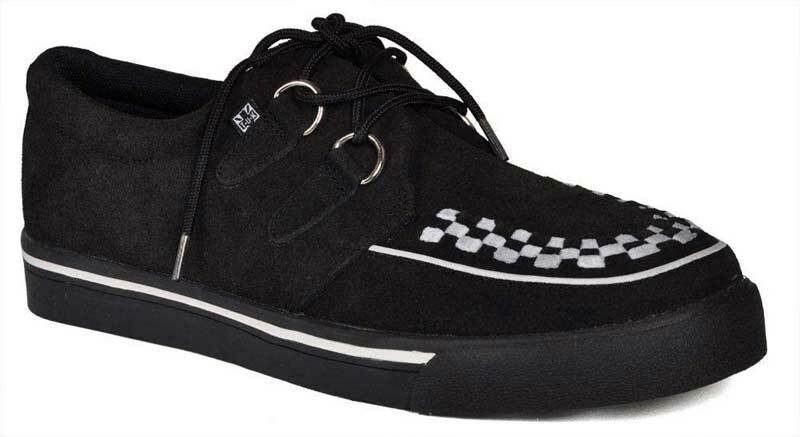 Black Suede with white interlace, metal D-Rings and vulcanized skull and bones sole. 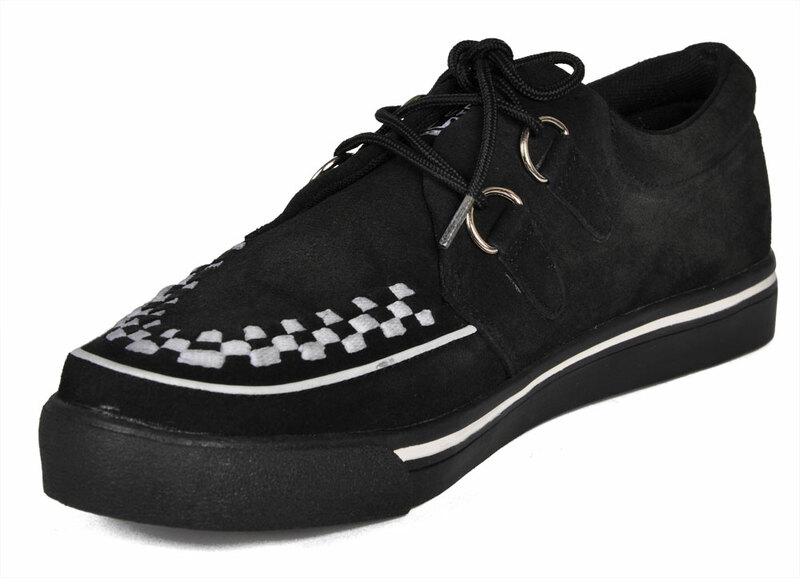 Unisex style shoes. Single sole. Imported from the UK. Lace up.